Get the e-book in ENGLISH and receive a free 1 E-BOOK and 1 AUDIO BOOK of the same story, in SPANISH, to implement this new technique of NEUROSCIENCE. 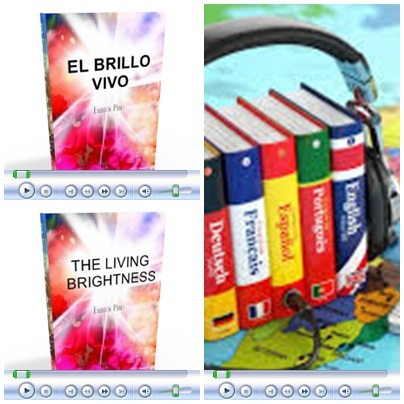 Read the book in the ENGLISH version, and then read it as many times as you like or you can in SPANISH, at the same time you will LISTEN TO THE AUDIO. It's a revolutionary way to improve your mental processing. The third time you READ THE BOOK and listen to AUDIO, you will already know the story and will remember several dialogues. In this way, you will make associations between FORM, SOUND and SIGNIFICANCE, besides training the recognition of several words in the other language. The prospect of finally understanding what you are reading brings a lot of motivation, which is a basic condition for learning. That same story told in another LANGUAGE for you to read and hear, makes you assimilate and understand its deeper meaning. With them in hand, you put into practice NEUROSCIENCE techniques and insert your learning into a context.